Are you ready to take your music to the next level? We're ready to help. We can give your music the personal attention and expertise it deserves. You supply the talent, we'll take care of the rest. Freedom is a simple idea, but rarely simple. Helping people create their music feeds the part of me that seeks out freedom; to create a natural, safe place for real music to happen is the true purpose behind StoneRidge. Nathanael and Sam’s journey to develop StoneRidge began with their love for music and many years of playing, and has continued through their experience and skill in the technical aspects of recording music. They are keenly aware that a great recording begins with a great song, and a great performance starts with how the artist feels. Nathanael Josiah Stone was born and raised in the tiny town of Summers, Arkansas. He is a 3rd generation musician coming from a line of creative artists including musicians, woodworkers, and oil painters. Sam has a Masters Certification in Production & Guitar from Berklee College of Music. Years of training and perfecting his skills as an engineer has helped shape the hardest projects. A SPACE TO DO YOUR BEST WORK – Professional quality, flexibility, and creativity. These are all things you’ll receive at our studio, as we’ve put the time and energy into building noise-isolated, acoustically rich rooms that can cater to a variety of needs. Whether you need guitar, drums, or stunning vocal tracks, we’ve got the set-up, the gear, and the experience. Partnering with StoneRidge begins with finding out about you: what you’re trying to achieve, what your schedule and budget are like, what sounds you love, and what you want to create. 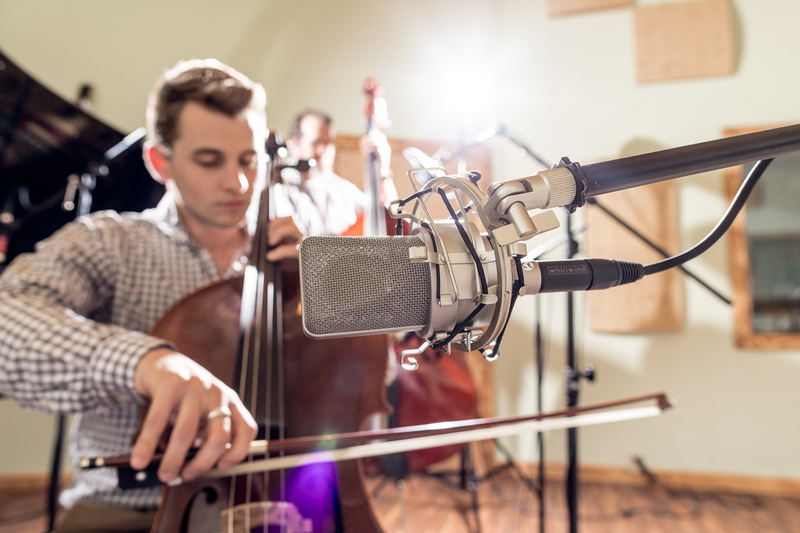 StoneRidge attracts artists who create the rootsy, natural sounds found in the Northwest Arkansas area, but Nathanael and Sam are equally comfortable in everything from classical music to hip hop, metal, and pop. Once in the studio, you’ll have access to rooms and equipment that are carefully tailored for optimal sound recording. If serving the song and the artist is the heart of the creative process, then the gear and the rooms are the ears and the brain. High-end microphones, preamps, processors and digital recording equipment combine to present your music in the best possible light. We’re proud of the work we do, but we love being able to help musicians make the most of their art. You know what you’re able to invest in your music, and we know how to help you bring that vision to life. We can do everything from a quick voice over, a solo project with session musicians, to full band producing, recording and mastering (and everything in between.) Seasoned pros and first-timers are pleasantly surprised at the value they get for their money with StoneRidge Recording. Click the button below to get a quote, book an appointment or contact us. You can also email us on our contact page or give us a call at (479) 310-6893, we can talk through the details of your project and quickly give you a great quote. 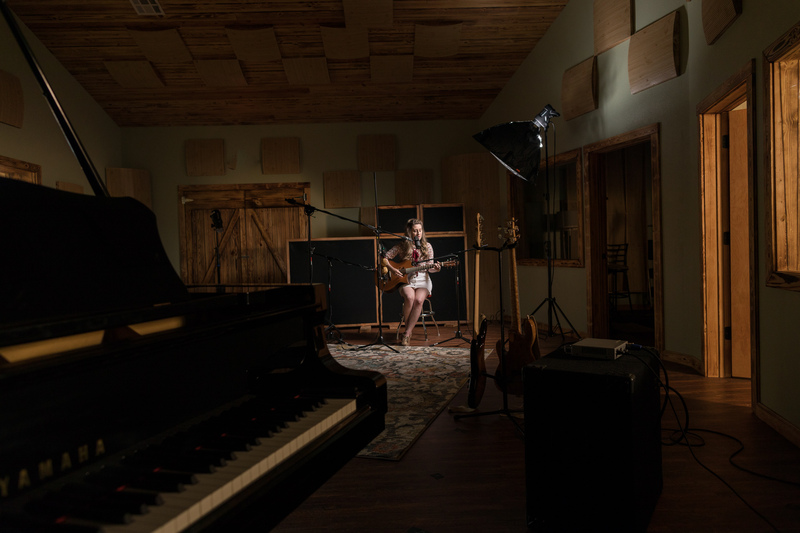 Stone Ridge Recording pulls you into an intimate, raw session. You can smell the creativity when you walk in. We have done one recording with them. Both Nathaniel and Sam worked with us. They intentionally listened to our ideas and desire for our music. They had patience with us as we were completely new to ALL things in the recording studio. They took time as we had a lot of questions and changes throughout our recording. They helped fill in empty spaces and come up with harmonies. We felt encouraged! Nathaniel, himself, is a very talented man and knowledgeable in music and composition. We definitely recommend trying Stone Ridge out! Stoneridge and I go way back. During that time, Nathanael has patiently watched my work grow from a single idea to a possible EP and then finally evolve into a full 12 song album. The synergy provided by Nathanael’s contacts with pro-level musicians has brought my work up several notches to a more polished and professional level - something I could never do on my own. At Stoneridge I always trust my music will be produced with integrity, attention to detail and that my finished work will testify to the great reputation for excellence Nathanael’s team has built over the years. I looked at another local studio before settling on StoneRidge Recording, but when I talked to Nathanael, I felt very confident in what he was doing and decided to give it a shot. The first time I went to StoneRidge Recording, I knew I'd found my recording home. The atmosphere was peaceful, the place looked fantastic, and the equipment was top notch. Not only is Nathanael friendly and personable, he is a musician himself, and he has a great set of ears. I was 100% pleased with my finished album, and I will definitely be making a second album at StoneRidge Recording. If you are looking for a studio in Northwest Arkansas, look no further. Nathanael Stone and StoneRidge Recording are my go to spot any time I need to record VO for film projects I'm working on. His attention to detail and the quality of the output are first rate. It's also a pleasure to be there and he's incredibly easy to work with, and the studio is relaxed and comfortable. It's the best of both worlds — quality and service. I've recorded in several studios with several studio technicians and I believe Nathanael is one of the best. I recorded two of my most recent albums at StoneRidge and I am very pleased with both. I think what sets Nathanael's studio apart and above many others is the amount of time and attention to detail he is willing to put in for his customers. He is truly professional and honest and I would recommend StoneRidge Recording to anyone, regardless of skill level or budget. We have been privileged to have the opportunity to work with Nathanael and StoneRidge Recording for the past few years on a number of projects. First and foremost, StoneRidge is a professional production facility that always puts the client and their needs first, yet never compromises on quality and excellence. 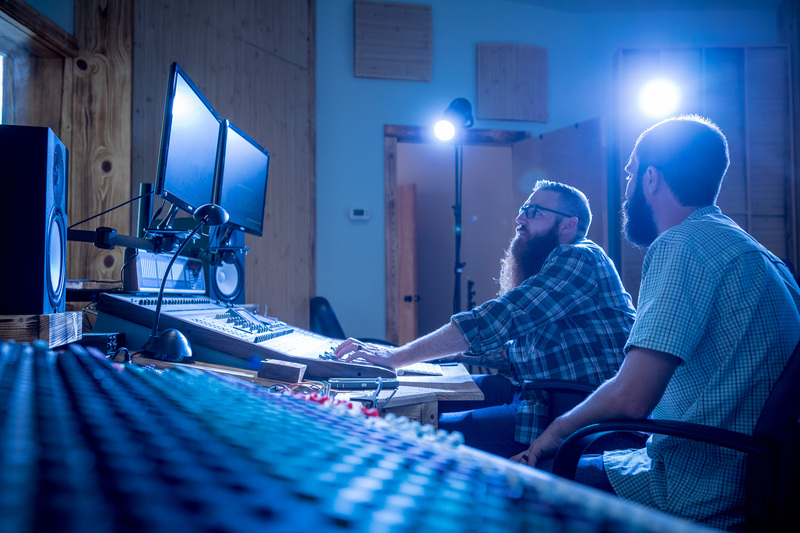 Their friendly staff, experienced engineers, and sound recording environment help them produce commercial quality recordings at a consumer price. If you are looking for recording needs in Northwest Arkansas, look no further than StoneRidge Recording. You won’t regret it!